Yadkin Valley Cookies is operated by Tammy Brown, who lives in the great Yadkin Valley of North Carolina. A very rural farm community. Yadkin Valley Cookies came to be out of a desire to make some birthday cookies, and grew with several friends request for more. Self taught all along the way, and still so much more to learn. Pure creamy butter and fresh ingredients make these cookies a super treat for anyone and anytime. We strive to make your cookie experience a delicious one. If you have any suggestions you'd like to see, please don't hesitate to email us. Update 1/4/19-As many know my mom passed away Oct. 22, 2018 after a 4 year stay in a nursing home. She suffered from dementia She was my best friend and I miss her terrible. I told her each day that she was my sunshine! One thing I always remember about her is her love of celebrating birthdays. whether is was mine or hers. (mostly hers!!). She would begin reminding us 2-3 weeks before, so we wouldn't forget. So, Bette's Boxes of Sunshine has been born in her memory. My goal is to provide each resident where my mom lived with a Box of Sunshine on their birthday. Each will include cookies,candies, and fun things to brighten their day just a little bit. I know that some have no family or very little, or live too far away to visit. 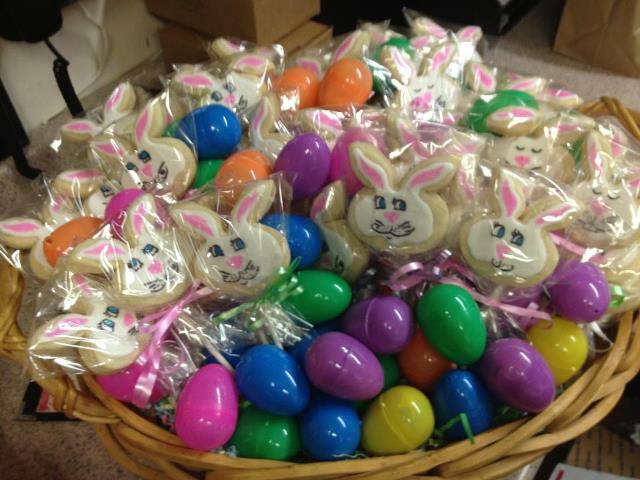 So honored to be asked to make cookies for Neely's Barbecue parlor in NY for Easter. Thank you so much, Wade!